For a unique stay in Orlando, Disney’s Yacht Club Resort provides just that. Created in a New-England style design, this elegant accommodation is set on a marina and has a range of on-site amenities that will make your stay an enjoyable one. 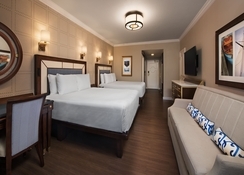 The resort is close to the Disney attractions such as Epcot, Walt Disney World and there is even a boat ride that will take you to Disney’s Hollywood Studios. Guests can choose between three different room options and there are great on-site dining options including a steakhouse. 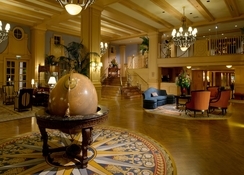 Adults and children alike will find plenty to do at Disney’s Yacht Club Resort and it is also a pet friendly hotel too. 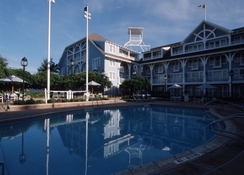 Disney’s Yacht Club Resort is close to many of the main attractions in Orlando. Epcot is only 700 yards away and Disney Hollywood Studios is just over a mile and there is a boat you can take from the property to get there. Walt Disney World (1.5 miles), Universal Studios (13.4 miles) and SeaWorld (9.5 miles) are easily reachable as well. The Orlando International Airport is 21 miles from the property. Guest can choose between three room types at this resort. Standard View rooms can sleep up to five adults and have views of either the parking area or rooftop, Garden or Woods View have better scenery and the Water View offers guests the chance to look out at the Crescent Lake and can also sleep up to five people. All rooms at this resort come with free Wi-Fi, tea and coffee making facilities and a mini-fridge. There is an abundance of eateries at Disney’s Yacht Club Resort. 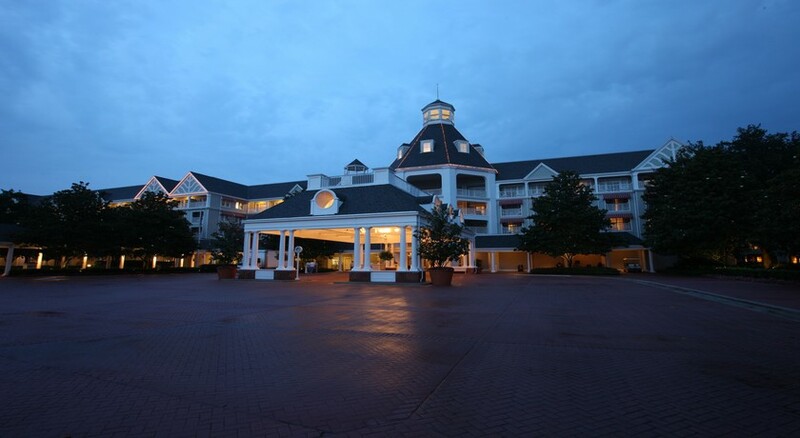 The Ale & Compass Restaurant offers great seafood, Yachtsman Steakhouse has New-England style dishes, and Cape May Café is open for breakfast, lunch and dinner while there is 50s themed ice cream shop. 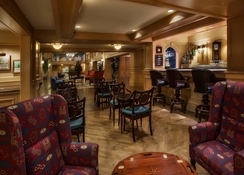 The Ale & Compass Lounge is suitable for after dinner drinks while there is a waterside bar and grill. Martha’s Vineyard has a New-England beach house theme and the Crews Cup Lounge is open for lunch and dinner. Finally, there are two marketplaces for food on the go. There is a three-acre mini-waterpark on site as well as leisure pools and whirlpools at the resort. 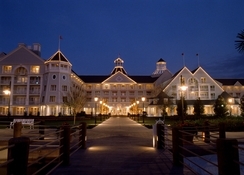 Guests can also find a health club and Disney’s Boardwalk is only a short distance away for entertainment in the evening. It also has facilities for tennis, fishing and volleyball. Golfers can play on Lake Buena Vista Golf Course and Falcon’s Fire Golf Course which are nearby while avid shoppers can head to the Lake Buena Vista Factory Stores.